Get a massive 20% off the cost of a new Xbox One X. If you're interested in gaming, you'll know that there are plenty of Xbox Black Friday bundle deals around. However, if the game isn't what you're after, these can be a bit of a false economy. Much rarer is the standalone console offer, but Walmart has stepped up this year with a great Xbox One X deal. But you'll need to be quick because last time we checked there were just a couple left up for grabs. In this awesome Microsoft Black Friday 2018 deal, you can pick up an Xbox One X console for just under $400 rather than the usual $499.99. Microsoft's Xbox One X offers 4K HDR gaming – which means games look stunning. It also promises 40% more power than any other console, making it the most premium gaming experience you can find. 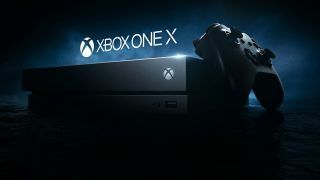 Take a look at our sister website TechRadar's Xbox One X review for more information. Save $100: There are plenty of Xbox Black Friday bundle deals around this Black Friday season, but if it's just the console itself you're after, this is a great deal. You're getting 20% off the usual price at Walmart. Hurry, last time we checked there were only two left! Want to make sure there isn't a better bundle deal for you? Walmart has knocked $70.99 off a range of game-plus-console packages. So for an extra $30 you could get multiplayer action role-playing game Fallout 76 or basketball simulation game NBA 2K19 bundled in. There's also an option to include battle royale shooter Playerunknown's Battlegrounds, but that's only $17 at Walmart at the moment, so you're better buying the game and console separately. For those of you in the UK who are feeling left out, we haven't seen any great One X deals yet, but ebay has a pretty banging deal on an Xbox One S Minecraft bundle. Take a look at our roundup of amazing Black Friday and Cyber Monday 2018 deals for more top savings.